Was $30.00, Now $15.00! 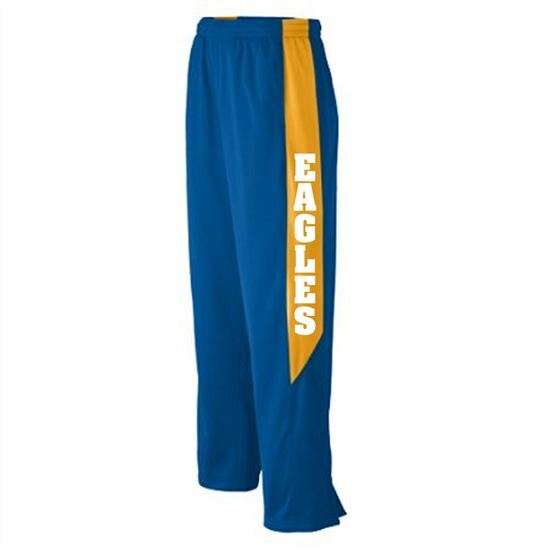 3 Left, Sizes: Youth Large, Ladies Small (2) Waist: Youth Large = 25 1/2" Ladies Small = 29" Inseam: Youth Large = 27 1/2" Ladies Small = 31 1/2"
Blue Pants with Gold stripe "Eagles" screened in white vertical on the side of pants. Logo is all gold glitter!